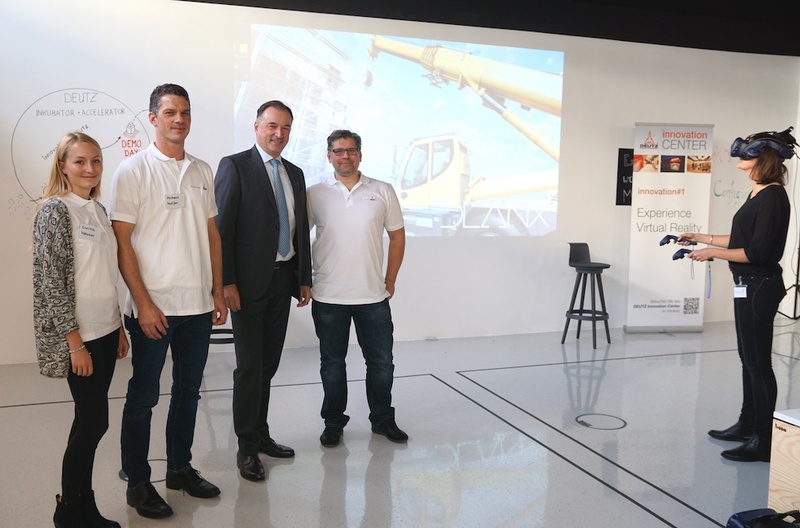 DEUTZ AG has officially opened its new Innovation Centre. Covering just over 380 square metres, the modern building provides DEUTZ employees with a space to work on new ideas, develop them into prototypes and shape them into a project, a product or an investment opportunity. The focus of the visionary facility is on joint project work, networking and brainstorming. A range of formats such as mentoring sessions, pitch training and creative workshops will support employees in defining and implementing their ideas. The DEUTZ Accelerator innovation concept will provide additional support with developing the idea and designing a business model. The latest technology in the shape of a Windows Surface Hub, a 3D printer and augmented reality is also available. Pictured above: DEUTZ CEO Dr Frank Hiller tests the newest Virtual Reality technology at the DEUTZ Innovation Centre.